Documents leaked to TechCrunch from inside Yelp allege that Google is manipulating its search results to favor Google+ content over Yelp content. The materials accuse Google of blatantly highlighting its own products in searches made in the US but not in Europe in order to avoid angering EU regulators who are reviewing Google antitrust complaints. The source tells me these screenshots and study are what’s being passed around internally at Yelp to demonstrate that Google’s tactics are unfair. Yelp recently joined a formal complaint about the leniency of an EU antitrust settlement with Google, the New York Times reported today, and my source says these documents helped inspired this action. In early 2013, Google won a breezy settlement with the FTC in the U.S. over similar antitrust concerns, which disappointed critics because its practice of directing traffic to its own services like Google+ were deemed legal. Yelp and other complainants don’t want Google to get off so easy in Europe. 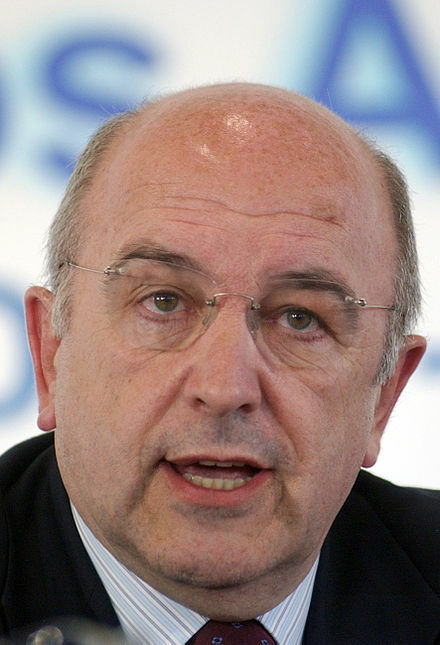 The current EU antitrust settlement proposal is being pushed by European Commissioner For Competition Joaquín Almunia. It would let Google off without an admission of guilt or fines for using its search engine to hinder competitors in local business listings and comparison shopping, fines that could soar into the billions of dollars. I’m awaiting a response from both Google and Yelp regarding the implications of the documents below. But how exactly Google demoted competitors in Google search results wasn’t totally clear. These documents try to make it obvious. TechCrunch’s screenshot of what’s populated in the Google card at the top right of search results when you click in the carousel. The first is two screenshots of the same search (“hotels sf”) made from IP addresses in the U.S. on Google.com and those in Belgium on Google.be, where the EU’s antitrust regulators are based. In the US Google.com results above, you’ll notice a big, prominent black carousel at the top of the screen that features Google+ reviews. The first is two screenshots of the same Google.com search (for “hotels sf”). One made from IP addresses in the US on Google.com and another from IP addresses in Europe like Belgium on Google.be, where the EU’s antitrust regulators are based. In the U.S. Google.com results above, you’ll notice a prominent black carousel at the top of the screen that features Google+ reviews. Clicking the links populates a large Google content card in the bottom right where the map is. It takes up about half the width of the screen with links to book a hotel room through Google, get directions on Google Maps, follow the business or write a review of it via Google+, and explore related Google search queries. Between the carousel, Google content window, and Google keyword ads, depending on your screen size there are almost no organic search results above the fold. These carousels rolled out in the U.S. just six months after Google won the FTC settlement. But if you do the same search from Google.bg, you won’t see the carousel or the big Google content card, but rather just Google Maps with some pins on it with less in the way of organic results. “hotels sf” results from google.be (the Belgian site) on searches from the US or from Europe on gooogle.com. People in the U.S. can compare the results for themselves by clicking https://www.google.com/search?q=hotels+sf to see U.S. results and https://www.google.co.uk/search?q=hotels+sf to see European results. My source says Yelp believes this is because Google wants to downplay in front of the EU regulators how it manipulates results until a lenient settlement passes. The source says that in some cases, even searching on Google.com from a European IP address will illustrate less aggressive marketing of Google’s own services like Google+, suggesting Google is actively trying to hide these result formats from people in Europe. The second document is a deck labeled “confidential” that reports the findings of a user-behavior study run by Yelp regarding where users click in Google search results pages. It shows that in some cases, when someone searches a restaurant’s name and the word “yelp” in hopes of finding reviews, the first result Google returns is the restaurant’s webpage with Google content attached like Google Places reviews, a “Write a review” button, a link to its Google+ page, and a Google Maps link. The Yelp page of that restaurant, which the user was presumably searching for, is shown second. The study finds that about 20 percent of people looking for the San Francisco restaurant with the search “Gary Danko Yelp” go to the Google+-infused result for the restaurant’s website, which Yelp thinks it should be getting. Google’s defense has typically been that it’s delivering answers to users instead of links in order to get them the information they want faster. The question for EU regulators will be whether Google prioritizing speed with its own properties over the organic results of its competitors constitutes a benign service to users or an antitrust violation.